I know every bookworm has one. At least, most of us have one. The unfinished book. The one book where no matter how many times you try–and I mean really, really tried–to read the book you just can’t finish it. Whatever the reason. I mean, you’re really interested, I mean you seem interested. Every time you read the jacket you’re excited to start. Every time you read the first paragraph, you’re interested. But then you’re halfway through the first chapter and you’re loosing focus. 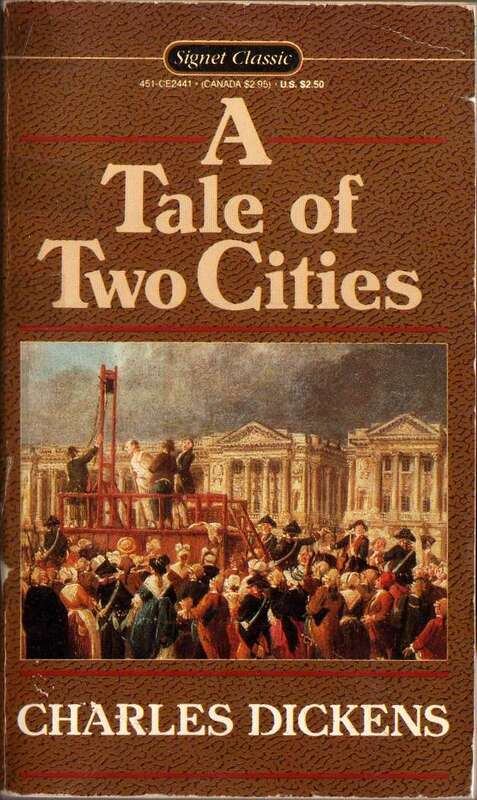 For me, it’s a Tale of Two Cities by Charles Dickens. And I love the opening! I fell in love with this book with just that opening stanza and yet, I haven’t made it past chapter 2! And I’ve been trying to read this book for at least the past ten years. And yet, Chapter 2 >> ROAD BLOCK. I have no idea why that is. I love reading books like this. I read most of Jane Austin’s novels and I love reading a bit of Bronte so I cannot wrap my head around me not finishing this lovely book. I promise. One day I will get through this book and wen that day comes . . . PAR-TAY! Until then, it will sit on my TBR list. GoodReads. A Tale of Two Cities.